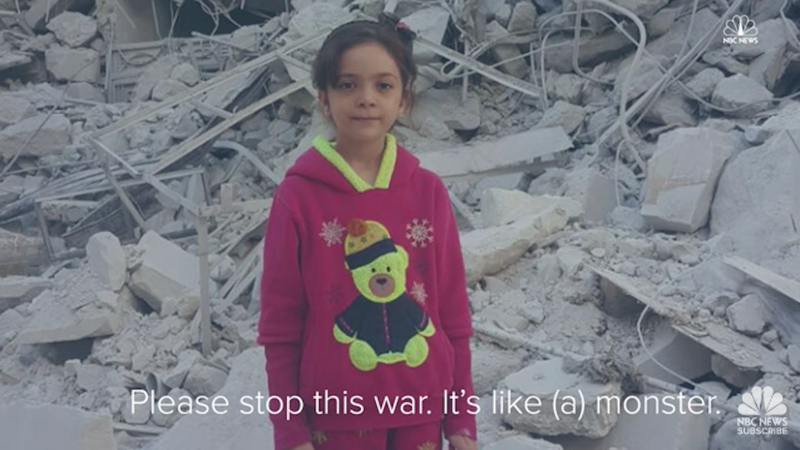 Since late September, Bana Alabed, a seven-year-old girl from war-ravaged Aleppo, has narrated her experiences on Twitter. The account, begun by her mother, accumulated over 100,000 followers as Bana delivered stark and harrowing messages of life amidst brutal chaos. But as of today, the account has disappeared. Not long ago, on November 28, Bana tweeted another distressing message that suggested farewell: “Tonight we have no house, it’s bombed and I got in rubble. I saw deaths and I almost died.” Later she added, “Under heavy bombardments now. In between death and life now, please keep praying for us.” Her mother explained to CNN that their home had been bombed, forcing the Alabeds into the street. Nonetheless, Bana and her mother continued to update their Twitter account until its deletion today. The website is responding to the sudden absence with both sadness and acute concern. Bana also appeared in videos where she would ask for aid directly. The sound of bombs could be discerned in the background. As of Saturday, however, Syrian troops deployed by President Bashar al-Assad crossed into eastern Aleppo. They now occupy the entirety of the northeast —that is to say, 20 percent of the city. We have yet to learn if Bana and Fatemah Alabed escaped.